looks to tracking not only for visibility’s sake, but in an effort to build efficiency within an otherwise chaotic system. In a time of increased mobility of people, ideas, and objects, big data is extremely important. The Internet of Things looks to tracking not only for visibility’s sake, but in an effort to build efficiency within an otherwise chaotic system. In healthcare, there is an even more pressing need for this increased visibility, efficiency, and gathering of data around relevant interactions. As innovation in mobile-health and health IT continues, there is a growing expectation for hospital leadership to do more with less. CenTrak’s mission is to help fulfill this demand for its customers. Hundreds of CenTrak-installed sites have already seen the benefits of our Enterprise Location Services and Clinical-Grade Visibility™ technology. Visit our customer testimonials page to find out how CenTrak customers are doing more with less. Our culture is fueled by innovation. We balance the ever-growing demands of healthcare with an even faster growing product portfolio. CenTrak has been recognized in Deloitte’s Tech Fast 500 for three consecutive years as one of the fastest growing tech companies and the top Real Time Location Systems (RTLS) provider in North America, leading the industry with the most enterprise-wise installations. Over 1,700 healthcare facilities are using CenTrak technology, including 40% of those found in Becker’s Top 100 Greatest Hospitals in America. CenTrak’s mission is to transform patient care by bringing high quality, reliable, and affordable real-time location technology to healthcare. We are leaders in our field and work hard to create devices and infrastructure which enable the most accurate data collection. The CenTrak system provides hospital leaders with big data and peace of mind so they make well-informed, “smarter” decisions for their patients, staff, and bottom line. CenTrak Cares™ is a charitable program dedicated to improving the quality of patient care as well as the patient experience in the communities we serve. Our initial project, Locating a Cure for Cancer, will focus on one individual Cancer Care organization each year. As part of the initiative, CenTrak will provide financial assistance to select cancer charities, special pricing for select cancer care construction projects and award an annual grant to the cancer care facility implementing the most unique application of CenTrak products. 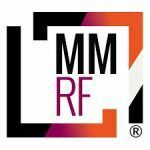 The 2019 CenTrak Cares campaign focuses on the Multiple Myeloma Research Foundation, Inc. (“MMRF”), a patient-founded and patient-focused organization. Multiple myeloma is an incurable blood cancer and the mission of the MMRF is to relentlessly pursue innovative means that accelerate the development of next-generation treatments to extend the lives of patients and lead to a cure. CenTrak sponsored the 2018 Purple Ball which celebrates survivors of childhood cancer, honors those who are trailblazers making change in childhood cancer and raises money and awareness for groundbreaking childhood cancer research. No More Kids with Cancer focuses on providing research grants to pre-clinical and Phase I clinical trials to find more effective less toxic treatment for childhood cancer. In 2017, CenTrak is the Premier Sponsor of No Stomach for Cancer, a 501(c)(3) non-profit organization whose mission is to support research and unite the caring power of people worldwide affected by stomach cancer. Gastric cancer is the 3rd leading cause of cancer deaths globally, with over 1 million cases diagnosed each year. Early diagnosis through education and prevention is the key to survival. Halma’s Group of companies, including CenTrak, has launched the Gift of Sight campaign. This is in partnership with the Himalayan Cataract Project (HCP) to raise awareness of the global issue of preventable blindness. Our collective goal is to raise over $200,000 in connection to this cause. View the video produced by Halma. 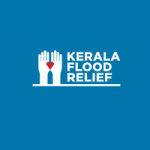 In an effort to help rebuild India’s southwestern state of Kerala, after the worst floods in nearly a century, CenTrak is proud to contribute to the Kerala Flood Relief Charity Fund. CenTrak is a subsidiary of Halma plc (“Group”). Halma PLC is listed on the London Stock Exchange and is a market leader in products that grow a safer, cleaner, healthier future for everyone, every day, with a current market capitalization of approximately $5 Billion. The group has nearly 50 businesses operating through two sectors (Medical & Environmental) in more than 20 countries and major operations in Europe, North and South America and Asia, supplying customers in 160 countries and employing more than 5,800 people worldwide.